Contact Guy by phone 518 796-1052, or by e-mail. 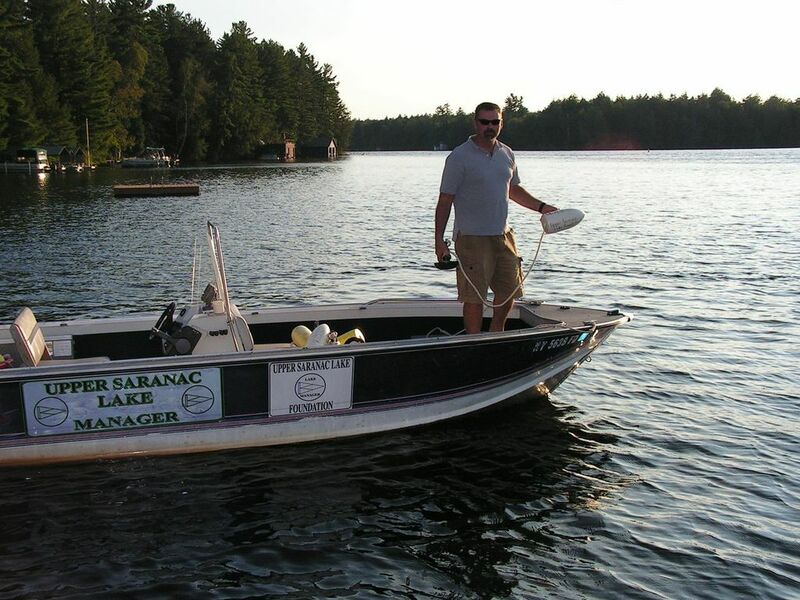 My position as lake Manager, funded by the Upper Saranac Foundation, provides watershed users with a year-round advocate for preservation, enhancement and protection of the quality of waters of the Upper Saranac Lake watershed. As Lake Manager I promote watershed education and public outreach while supporting compliance and enforcement of local and state ordinances. I also continue to oversee and monitor the Foundation’s Dam, assuring proper operation and accreditation through periodic inspections, repairs and maintenance in collaboration with our Dam engineer. Of course, as Lake Manager I also oversee the continued success of our Aquatic Invasive Species prevention and control programs. I want to stress my availability to you as the information clearinghouse for lake residents. This includes working with the shore owners and users of the lake concerning land and water use regulations, septic system and water quality, and advocating responsible development. I will make myself accessible for concerns of suspected violations of ordinances and regulations, environmental issues, and as the point person for Rapid Response milfoil sightings. I also have a presence on the lake almost daily throughout the summer. Growing up in the North Country, I have witnessed, first hand, the increased pressures put upon local area watersheds and its effect on natural surroundings and local communities. I consider myself lucky to be a part of an organization that feels as strongly as I do about preserving the watershed and water quality for the sake of the environmental health and beauty of Upper Saranac Lake. Having lived, worked and recreated on and around the lake since 1989, I have an intimate knowledge of the lake, know many of its residences, caretakers and local contractors. These local ties and affiliations, combined with my Environmental education background afford me the network and tools that I need to properly execute and fulfill my responsibilities to you as Lake Manager. Anyone with concerns regarding the possible degradation of water quality, have identified or suspect seeing aquatic invasive species, or would like to share ideas or ask questions, can reach me on my cell phone 518 796-1052, or by e-mail.